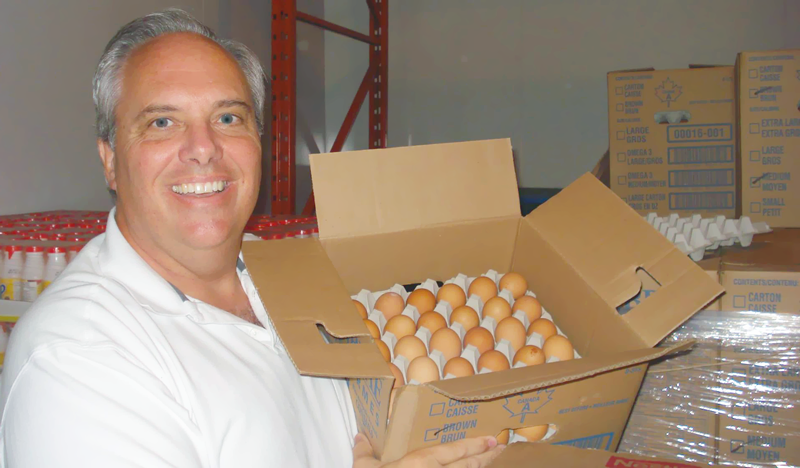 Ontario’s egg farmers have a strong record of donating to Food Banks. In celebration of its 50th anniversary, Egg Farmers of Ontario (EFO) introduced a new egg donation program in collaboration with Feed Ontario (formerly the Ontario Association of Food Banks). EFO’s Egg Donation program makes it easy for egg farmers and all supporters to donate eggs to Food Banks across Ontario. Egg farmers with sufficient barn space can commit to place extra hens in their barns and the equivalent egg production is donated to the program. An up-front donation of $50 per bird is used to provide the associated egg production (25 dozen annually per bird) as a donation within the program. In a similar way, other egg farmers, industry stakeholders and any interested individual can also participate. EFO can arrange placing hens matching their donation (with a commitment of $50 per bird) and the associated egg production (25 dozen annually per bird) will be included in the donation program. Since 2015, Egg Farmers of Ontario have been committed to ensuring that at least $250,000 worth of eggs are donated to Feed Ontario annually in this voluntary program. The commitment provides about 12,000 dozen eggs per month throughout the year. EFO’s net financial contribution will be reduced gradually as voluntary egg donations are pledged, keeping donations constant at about 12,000 dozen eggs per month. If voluntary egg donations exceed this level, donations to Food Banks will increase accordingly. Participating Ontario egg graders are supporting the program by donating all of the egg grading and packaging costs. The program is open to all Ontario graders. Burnbrae Farms and Gray Ridge Egg Farms are already supporting the program. For the egg-lover, anytime is egg time. For breakfast, lunch, or supper and anytime in between eggs are a deliciously healthy choice for you and your family.